The secret is out — people LOVE using church apps, and it’s easy to see why. 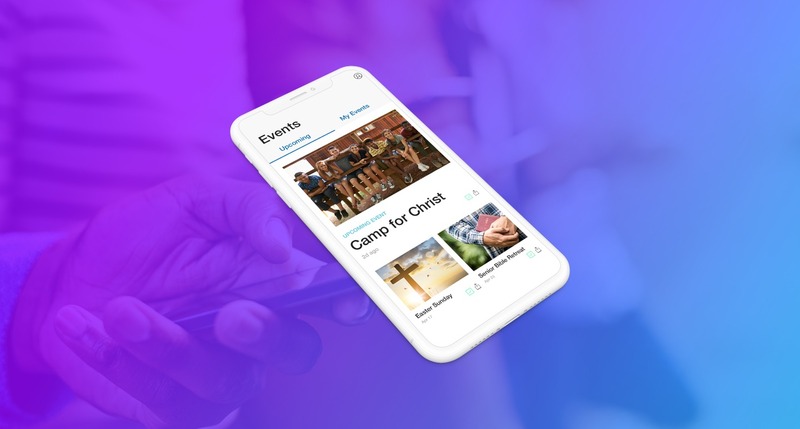 Apps make connecting with the ministry simple and convenient because smartphones are accessible. People carry them everywhere they go (even if it’s just from the kitchen to the couch). Of current smartphone owners, more than 80 percent prefer using mobile apps versus mobile websites because they’re more intuitive on small screens. While your congregation would rather use apps, if they aren’t aware your church has one or the features aren’t inspiring, it won’t be very successful. The solution is launching your church app with purpose and a plan. In order to help, we’ve laid out 5 actionable steps to launch a new church app effectively for next-level engagement. It’s time to launch your church app (officially) and celebrate! Now, people can access your church beyond the walls any time, any day of the week. When people are better connected to the church, they’re more likely to volunteer, donate, and attend. Throughout the day, share all the wonderful features the church app has to offer. Don’t just tell them — show them through interactive slides and live demonstrations. Have clear steps listed to download and use the app in welcome packets and bulletins. Make sure volunteers and staff are ready for questions and to provide one-on-one help. Moving forward, continue to make updates and add fresh content to the app. If you don’t keep it fresh, the app will get stale, and people won’t be as inspired to use it. Remember, an app is designed to provide your congregation with an experience that keeps them engaged and focused on spiritual growth. Quick access to the latest sermon series, a calendar of upcoming events, prayer requests, and more help further connect them with your church. Keep your church inspired by accessing the next level of engagement with MinistryOne! The powerful church app starts at the introductory rate of $19 per month, but your first year is free.